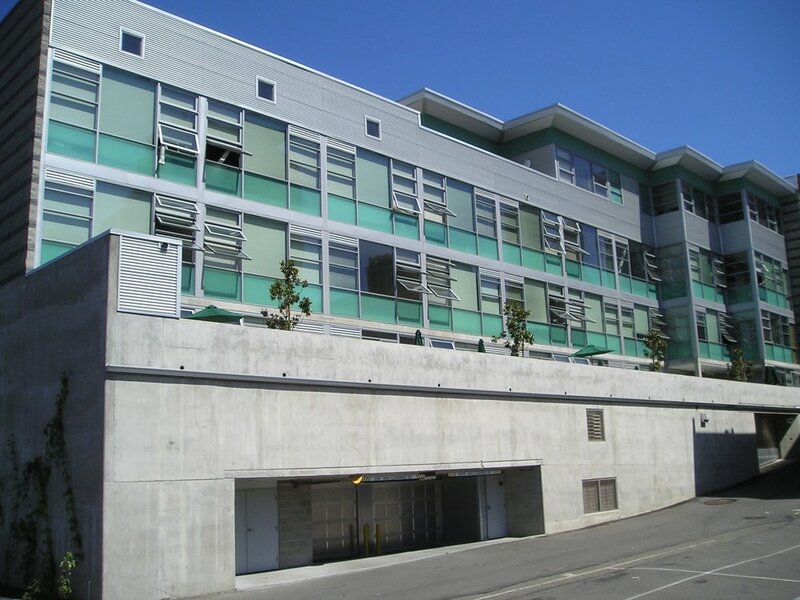 This new apartment building is framed over a 3-level post-tensioned concrete parking garage. Flat slab construction provided for efficient, low-profile framing that fit within zoning height restrictions and allowed room for the penthouse. A soldier pile shoring wall and a partial pile foundation was used to utilize the entire lot and account for areas of deep fill that existed on site. The shotcrete placement method was used to reduce formwork and accelerate construction.